Tensions were high in the north of Ireland while Home Rule was being debated in Parliament. 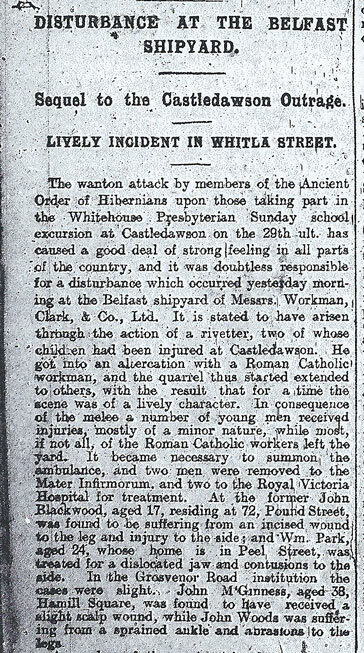 On 29th June, a Sunday school outing was attacked in Castledawson, Co. Londonderry, by members of the Ancient Order of Hibernians. The following Monday, Protestant shipwrights rounded on Catholic workmen and drove them out of the yards. 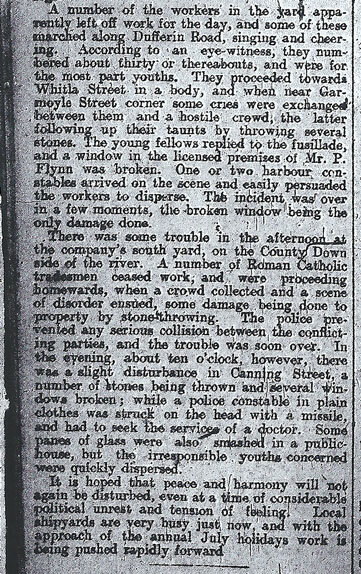 Knives and revolvers were used in a riot at a football game between Belfast Celtic and Linfield on the 14th September. 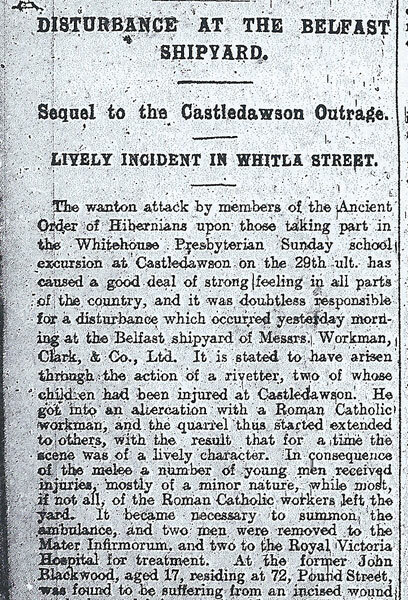 The Belfast News-Letter 3rd July 1912: 'Disturbance at the Belfast Shipyard'.